Judy Rodman - All Things Vocal Blog: What would I do as producer of your project? I got a new request recently to explain what I do in my role as producer or vocal producer. If you are a new artist and are contemplating recording a project, the following may help you know what to expect, or what questions to ask of the producer you are working with or considering. I would help you find and choose songs that fit you. I then suggest taking some voice lessons to get your voice ready and to work on the songs and keys. If we are doing full band, I would have a "pre-production" meeting with you, and sometimes with the band leader, going over musician choices and production ideas. I would book the band, the recording studio and engineer according to your budget and write the charts. Then I would produce the tracking session. You would do "scratch tracks", singing them as the musicians play, but not trying for final vocals. I would book the vocal sessions with the studio and any needed background vocals. Then I would produce your lead vocals and background vocals. Then I would have it mixed, you and I would listen to the mix, do any tweaks and ok the final mix. My production fee would be negotiated according to the type project. Of course, it it's just piano or guitar vocal or pre-existing track, I would charge much less because the time required would also be much less. 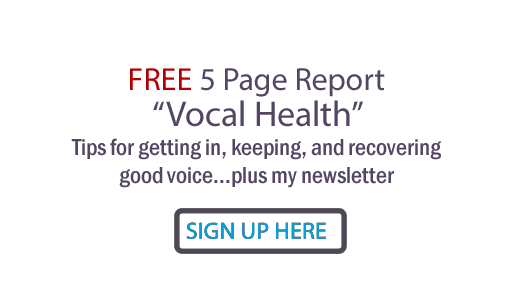 Vocal lessons would be an extra fee you would need to include in your budget. You would also need to pay separately for any graphics and duplication you want. I would usually work with your over-all project producer and engineer to get your best vocals. Most often I give a short vocal consultation (lesson) before we begin. Sometimes, according to the producer and engineer's wishes, I help "comp" the vocal tracks on the spot. My vocal production fee is $80 an hour. Typical length of time is one to two hours per song. I hope this helps you plan your project, whether or not I work on it. I always love working with other producers - on the team as vocal coach, vocal producer or consultant. There are many creative solutions that can help you get the best project for your budget. If you have any questions, please click the comment link and I'll be happy to reply.